While that's cool and practical, the quality can't compare to what WM can produce. :) The workflow is also very different from WM. I personally have a hard time using it for more than getting started on a shape, and always bring the produced shape into WM to refine and make the final product. World-creator (former GEO control). Almost everything is realtime. Down the road will buy a 2TB 80core+ server. Impressive. But this is not proper way to go. Proper way is redesign of application to be not so memory hungry and GPU support. 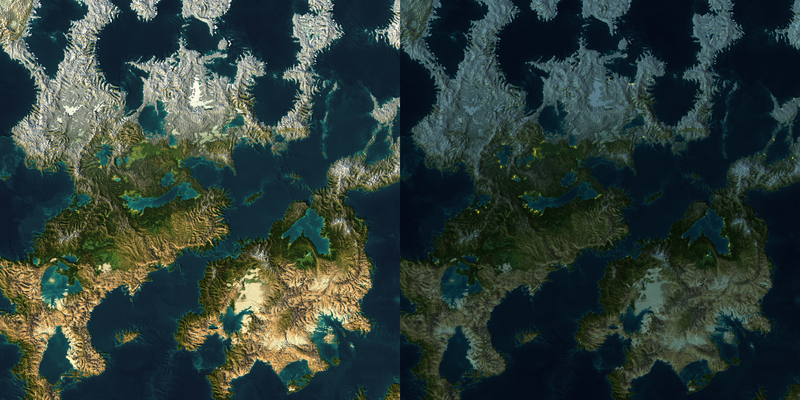 There are already World generating tools with GPU support, for example height map generation is 100x faster. GPGPU is not the holy grail of everything, it's not like you can stick 2TB of ram on a video card quite yet and i'm using big servers to generate very large (non tiled) areas as a lot of filters break down in quality on tiled (need neighbooring information they can't get if it's rendering elsewhere). And WM is not "memory hungry", it's pretty good at what it does i'd say and the conserve memory that dumps intermediate results is a nice plus. Also i'm going to have a pretty beefy server soon again, let me know if you'd be interested in having a very high resolution render done for free (if you're using a version of WM i have access to). Depending on how hungry your graph is i could go pretty high (i've done decently complex graphs at 128 000 X 128 000). Hi Ronan, what are the specs of your server? I wonder if it has 1tb of RAM or something else. Here's a project I've been working on in my free time. It's 100% procedural, I didn't use any layout tools, and it's straight out of WM. Those are mostly macros, and the blue lines are each a set of 3 separate maps. For example, one pack contains Average Sun Light, Precipitation Potential, and Wind. In the past I had it generating quality terrain zooming all the way down close to the size of a large Battlefield map. I've got some old examples of terrain up close here. I have more recently focused on continental scale generation and so naturally it looks like complete crap up close now. Unfortunately work has stalled because render times have become too bothersome for quick iteration, a new PC will do me good. My end goal (long way away) is to generate an entire MMO sized world in a game engine (I'll be eyeing UNIGINE for sure!). I've got distribution maps for pretty much everything from bedrock to soil, to plant and tree life, weather conditions, and also farm land and cities. There's even a distinction between farm towns and port towns. I think I could actually generate distribution maps for just about everything I need to make a "living" MMO scale world. Granted it would probably be a dull world for a game, but also great base to start from. I haven't used WM in a while but, beside the detail being gorgeous, something picked my interest, how do you manage to have "régions" like a southern desert and northern mountains without using any form of layout at all? I can see not using layout for the terrain itself but don't you even use a layout curve or something to show how "hot" the terrain should be generated? An attempt to portray a specific ridged mountain area in Corsica. 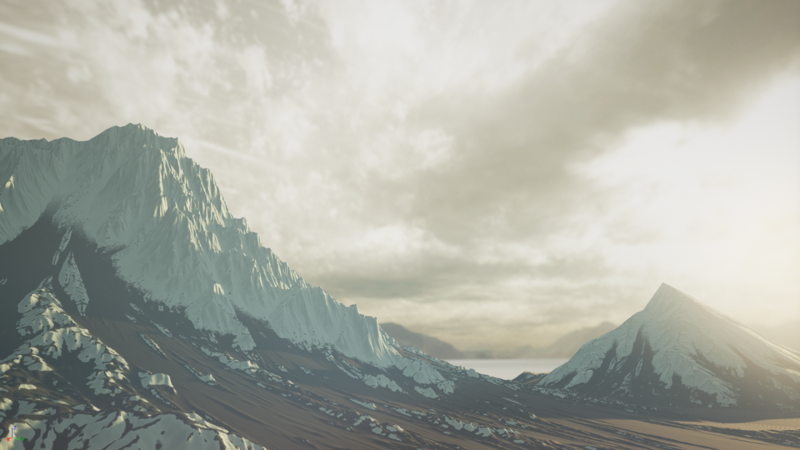 Terrain created with World Machine 2 and imported to Terragen 3 for rendering.